​England and Slovenia both tasted victory in their penultimate meeting before the World Cup finals, while reigning champions Germany fell to a shock defeat at the hands of Austria in delayed fixture in Klagenfurt. 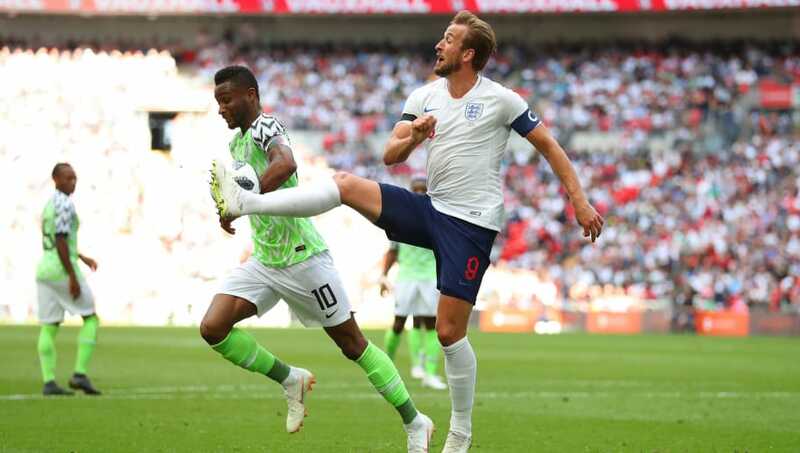 Gareth Southgate's England were on song in the first half of their fixture against Group D side Nigeria as goals from Gary Cahill and captain Harry Kane saw the ​hosts run out 2-1 winners at Wembley. An early second half goal from Arsenal's Alex Iwobi gave the Super Eagles something to chase, but in the end a stoic England performance saw them claim victory. Germany fell to a surprise defeat in Austria after an early goal from Arsenal midfielder Mesut Ozil was cancelled out by second half strikes from Martin Hinteregger and Alessandro Schopf. The Austrian's second half double saw J​oachim Low's men fall to a 2-1 defeat in a weather-affected fixture at Austria Klagenfurt's Worthersee Stadion. Iceland's friendly with Norway ended in a 3-2 win for the latter, with strikes from Bjoern Maars Johnsen, Joshua King and Alexander Sørloth proving pivotal, with Iceland responding through Alfred Finbogasson and Gylfi Sigurdsson.